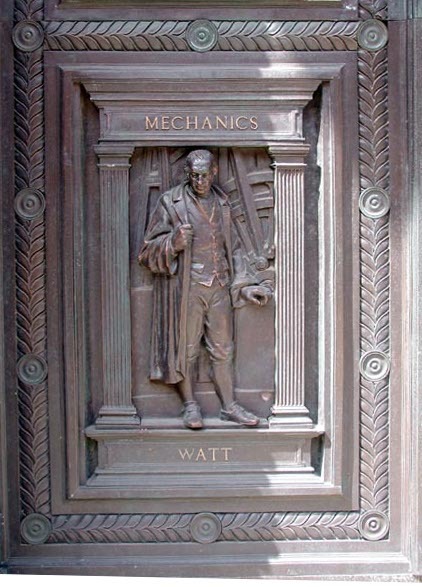 These bronze doors served as the orginal entrance to the institution that eventually, after several expansions and name changes, became the Victoria & Albert Museum. According to Read, "the door, with majolica figure panels above it, contains six bronze panels by Gamble and Townroe with figure scenes after Sykes's designs . . . [which] were exhibited in Paris in 1867" (227). These three also designed the north front of the Quadrangle.